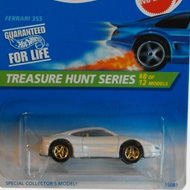 9/12 from the 1996 Treasure Hunt series. 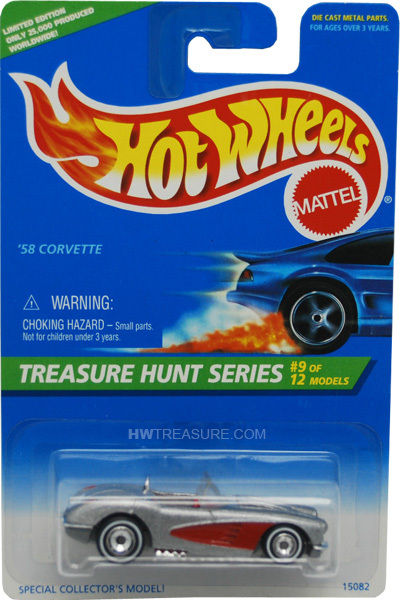 The Corvette features silver metalflake paint with red graphics on the sides. It has a clear windshield, red interior, white line Real Rider tires with chrome rims, and a grey Malaysia base. 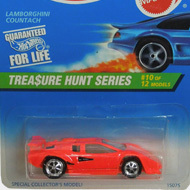 The vehicle made its debut in the 1995 Model Series. It is based upon the sports car of the same name that is adorned with quad headlights and scooped sides.